You might be looking to revamp your kitchen or equipping new kitchen tools for your next cooking adventure, but endless hours of searching and you still can’t zero down on something. Sounds familiar, right? We know. Getting the right kitchen essentials is tough, especially when you have plenty of options to choose from. Here’s our quintessential shopping guide to setting up your kitchen. You might be starting off from scratch or maybe you’re just looking to upgrade items from your kitchen, this guide can help you get your kitchen right. Knives are an indispensable part of the kitchen, you just can’t do without it. We recommend the Victorinox Fibrox Pro Chef's Knife for its great functionality without compromising on quality. The long sloping curve of the blade makes the Victorinox knife a delight to use for anyone looking to upgrade to a Chef’s knife. What we like: Ergonomic handle and extra wide blade. Cutting boards go hand in hand with knives. 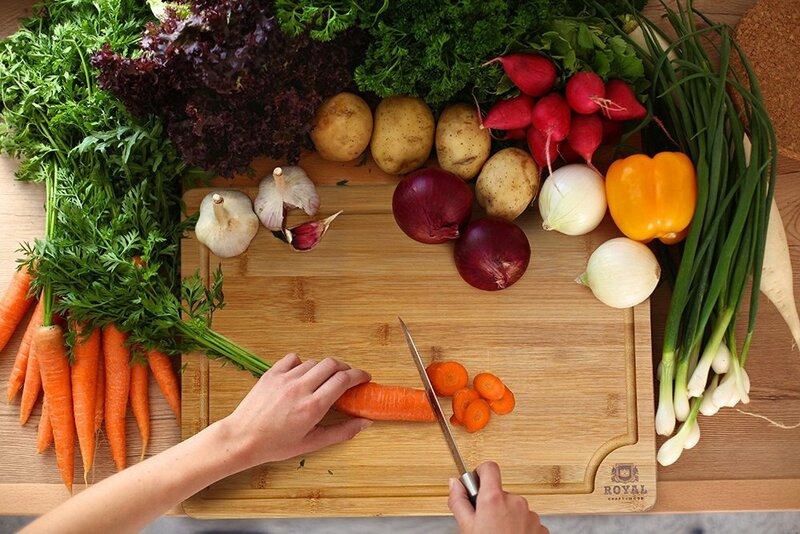 Our pick is the Organic Bamboo Cutting Board by Royal Craft Wood. Made of bamboo, this cutting board is a blessing for your kitchen. The large size and added functionalities make it a nifty buy. Plus, bamboo is gentle on knives and does not dull the knife sharpness. What we like: Extra large size and nifty grooves for juices to slide off. Ask a baker or a foodie and they’ll stress on how important it is to get the right measuring set for your kitchen needs. 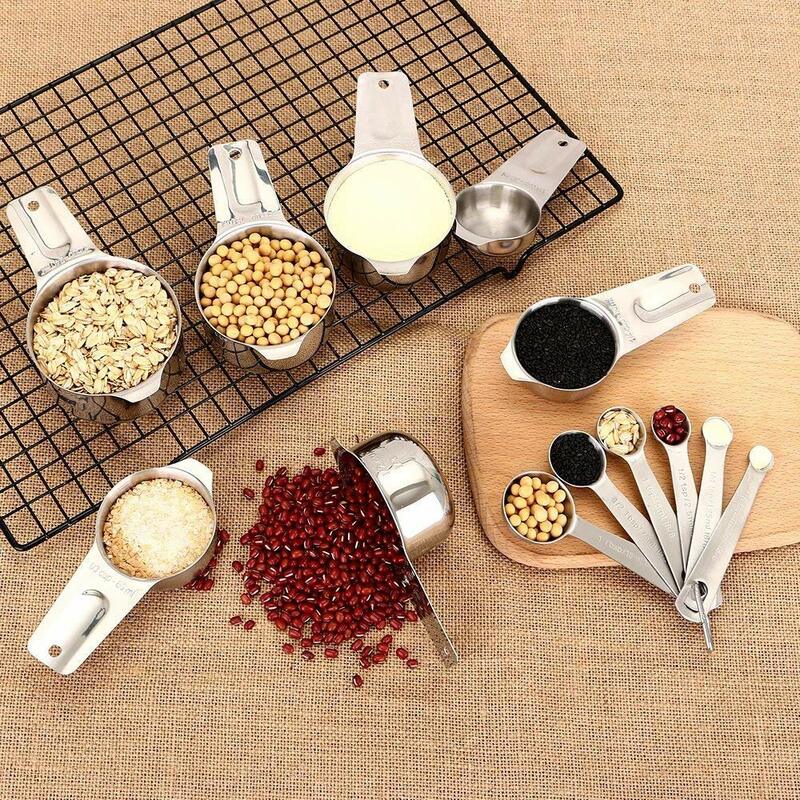 We approve of Vinger’s Set of 13 Measuring Cups and Spoons for its variety of comprehensive measuring scales. Stainless steel, precise and dishwasher friendly, we couldn’t have asked for more! What we like: High quality construction and additional measurements on the scales. We absolutely recommend the Pyrex Glass Mixing Bowl Set without a second thought! An absolute must-have for every kitchen, use it for mixing everything from ingredients to marinating meat or just preparing sauces. 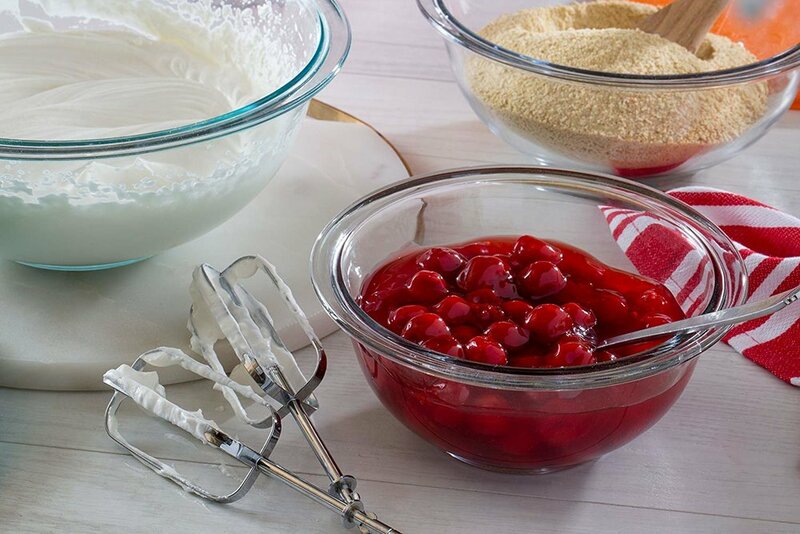 Made of durable glass, the Pyrex mixing bowl makes for a great buy. What we like: Comes in a set of 3 great sizes. Microwave, dishwasher and freezer friendly. A classic staple in every Chef’s kitchen, wooden spoons are a lot more versatile than you know. Consider Artmeer’s Organic Bamboo Utensil Set that comes in a set of 6. From a spatula to a rounded fork, this set has you covered for all your cooking and baking needs. You can’t have one too many wooden spoons! What we like: Durable, does not stain easily. Can be used on nonstick cookware. Setting up a kitchen doesn’t have to be tough and frustrating, opting for good high quality kitchen items can go a long way in setting up an efficient kitchen. Stay tuned for more! Drop in a comment to let us know what kitchen items you use in your kitchen! Newer PostNational Rum Day 2018!